TTTech had the honour to attend the exclusive launch of the A8 during Audi’s brand event show in Barcelona. 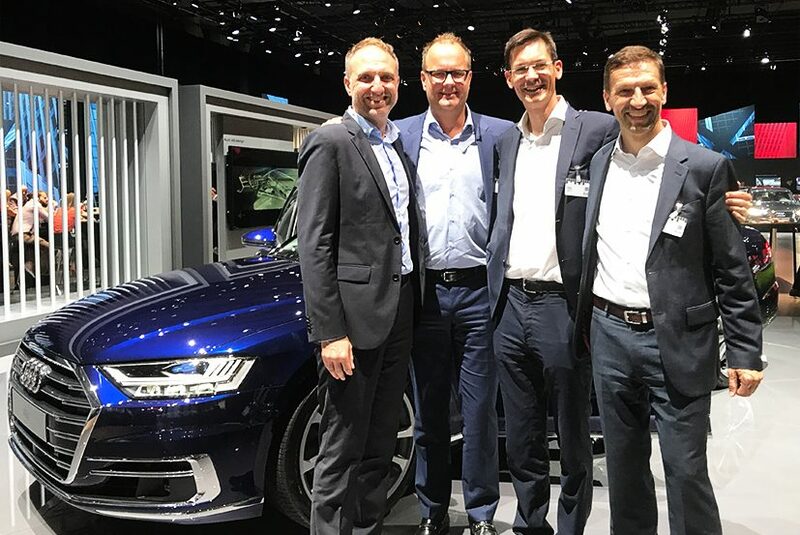 We congratulate Audi on the introduction of the first series-production car capable of automated driving level 3 and offering the first electro-mechanical active suspension system. Audi and TTTech have a long-standing successful strategic partnership. This partnership allowed us to contribute with our experience in safety control, high performance networking and software integration to the most demanding automotive ECU development project zFAS. We are happy that our modular platform for automated driving has now become a vital part of the all new Audi A8 computer architecture.